In the Pioneer Days, household items and personal care products were fashioned carefully and lovingly by hand, using everyday items that were grown, gathered or foraged in the wilderness. For instance, we all remember Laura’s love of Miss Beadle’s Lemon Verbena perfume. The unique aroma that Laura found so appealing, was unlike the fragrance in the perfumes of our day. It was likely a pure and natural fragrance acquired from the aromatic Lemon Verbena plant itself. Lemon verbena is a perennial shrub that has a wide array of uses. The Spanish brought Lemon Verbena to Europe in the 18th century, where its oil was cultivated and used largely for perfume, and is still used in many perfume blends and fragrances today. It is also found in many recipes, used to add a lemon flavor to fish and poultry dishes, marinades, and even salad dressing. Many people also like to use Lemon Verbena in their tea in place of an actual lemon. 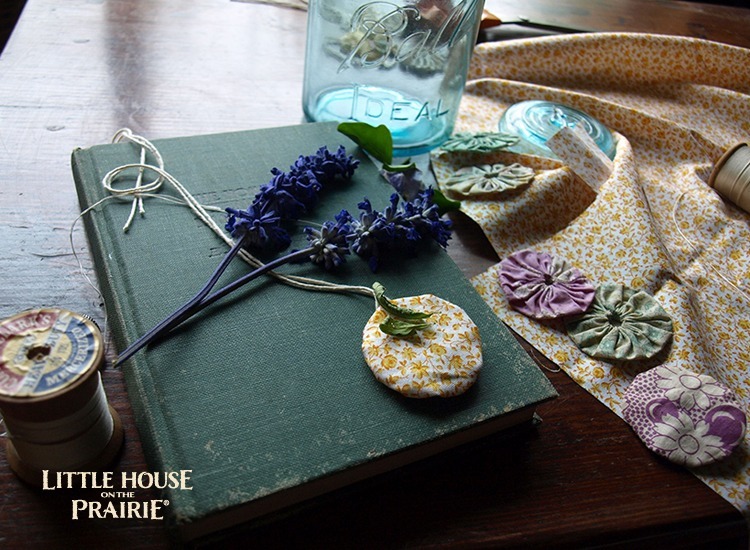 This Do-It-Yourself project is a simple and fun way to create your own unique twist on the Lemon Verbena homegoods of Laura’s time. It is a nice way to create something beautiful and useful from something sustainable. 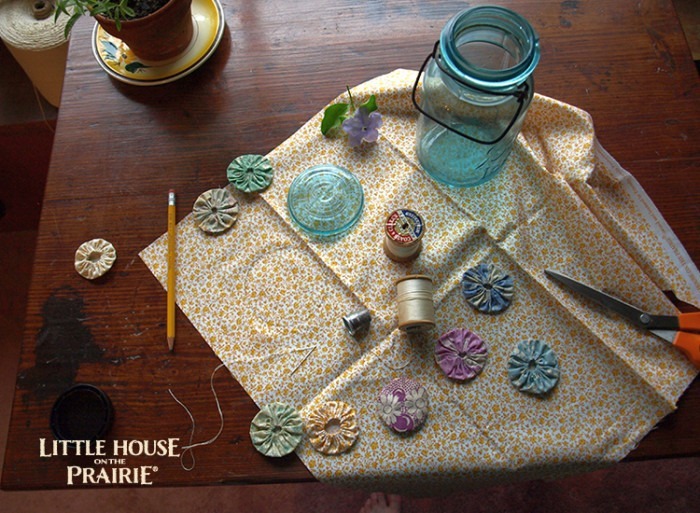 I was inspired by some vintage yo-yos I inherited to create my own using the Little House on the Prairie® fabrics by Andover Fabrics. 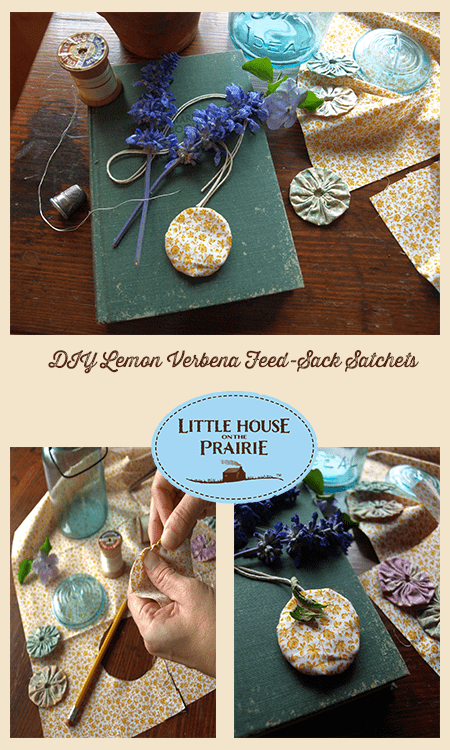 These yo-yo DIY Lemon Verbena Sachets have so many uses. Step One. Lay out all of your supplies. Step Two. Cut the fabric. 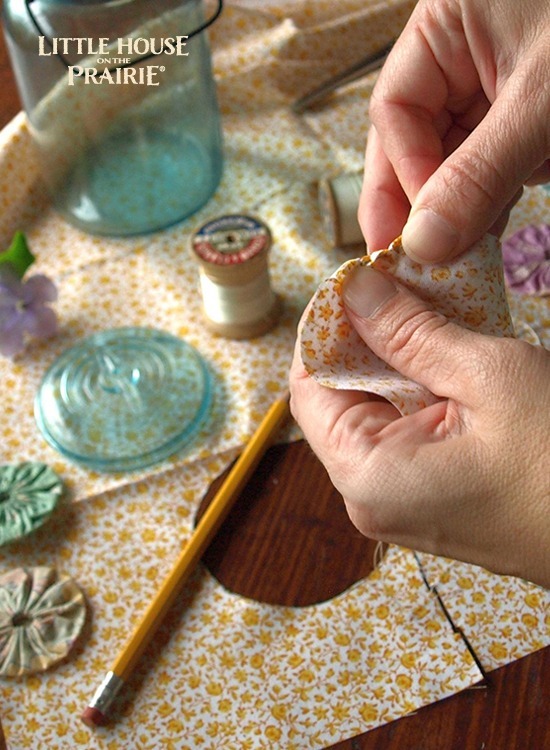 Begin by drawing a circle around a ball jar lid on your fabric to create the circle for your yo-yo. Cut the circle out. Step Three. Thread your needle. 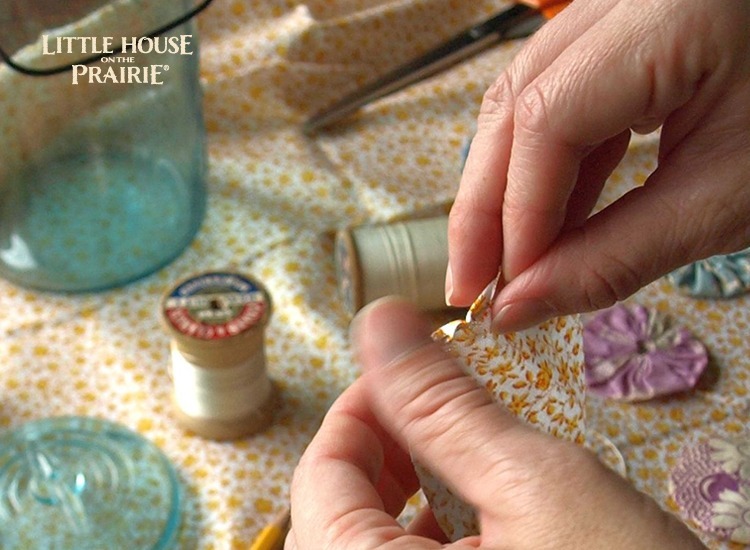 Thread a medium sized needle with some white cotton thread and tie a knot at the end. Step Four. 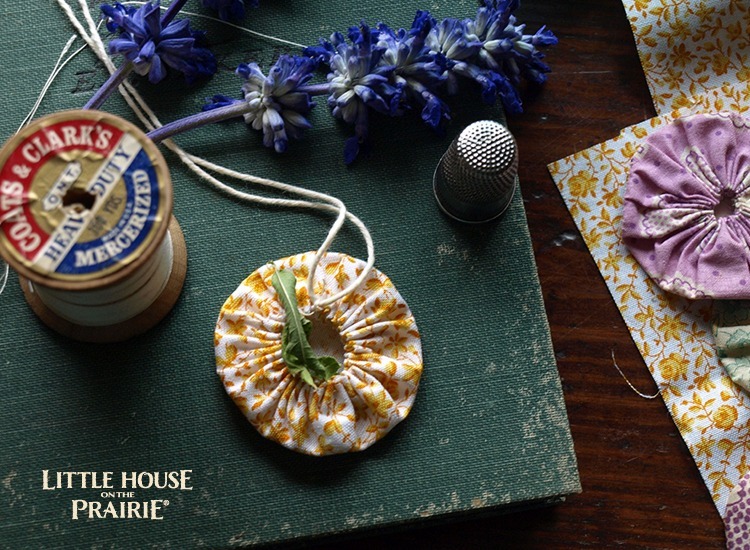 Make a yo-yo with a running stitch. Sew your yo-yo together by folding the last 1/8” over to the inside and start sewing a running stitch all the way around. Step Five. Whipstitch to close the yo-yo. Keep sewing until you get to the end of the yo-yo. Pull the thread tight to narrow the circle opening of the yo-yo. This will make it look like a little gathered chef hat. You will then start whipstitching the last part to close the yo-yo tightly. Step Six. Gather your lemon verbena. Pull a bunch of lemon verbena leaves off the plant . Rub them in your fingertips to release the oils and aroma. Place the leaves inside your yo-yo sachet and enjoy! You can add more than just the lemon verbena as well. Try adding: dried flowers, fresh flowers, and other herbs. Have fun experimenting! Step Seven. Enjoy your sachet – there are tons of ways to use them. 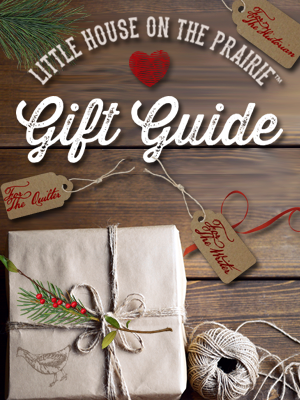 You can give them as gifts, place them in dresser drawers, hang them in your closet amidst your clothes, dab on your neck and wrists as a natural perfume; or, you can even use cotton twine to create a fun aromatic necklace for all ages. 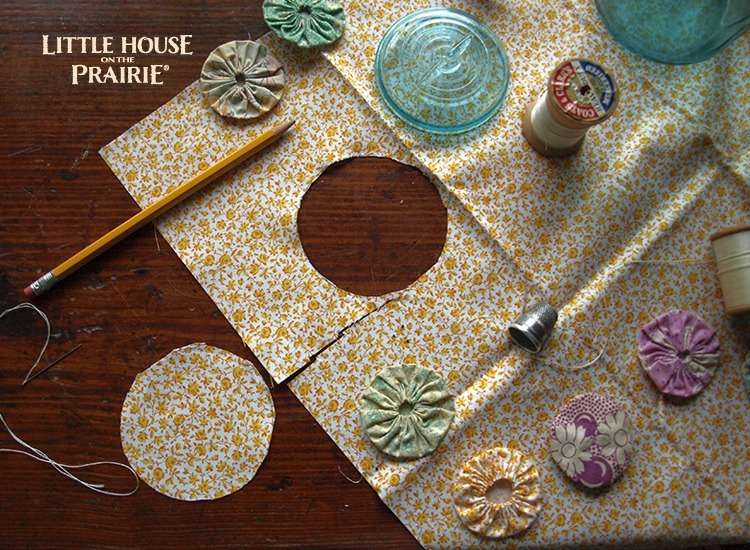 Please make sure you subscribe to our free newsletter to see all the Little House on the Prairie® inspired crafts and DIYs. 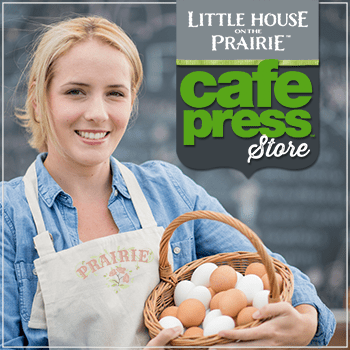 And share your photos on Instagram using #LittleHouseMoment for a chance to be featured. We can’t wait to see what you create! Amber is a believer, a homesteading Mama, and illustrator/owner of Cloud9 Design. 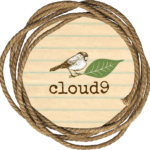 She blogs about homesteading, and living simply at Cloud 9 Design. 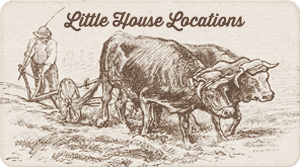 I alway watched Little House on the Prarie every afternoon. It was such a plain and simple life, reminded me so much of the simple life i lived ,growing up. I love Little House on the Prairie. What a great idea! I just added a Lemon Verbena to my herb garden and was wondering how to use it. This will be fun to do with my grand daughters. 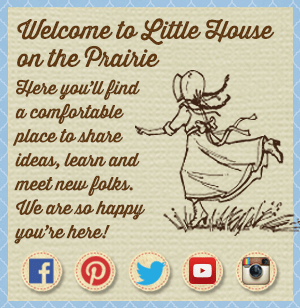 My little girl loves Little House on the Prairie; we bought the entire series on DVD, so she can watch all the time. Planning to make these this summer. 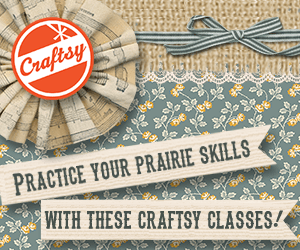 Thanks for always sending great crafts and recipes. It’s so appreciated!